The sample (knit for me by the wonderful Manda) is out of a skein of Dream in Color Smooshy. There was tons of yarn left over. So, any skein of sock yarn should do you just fine. 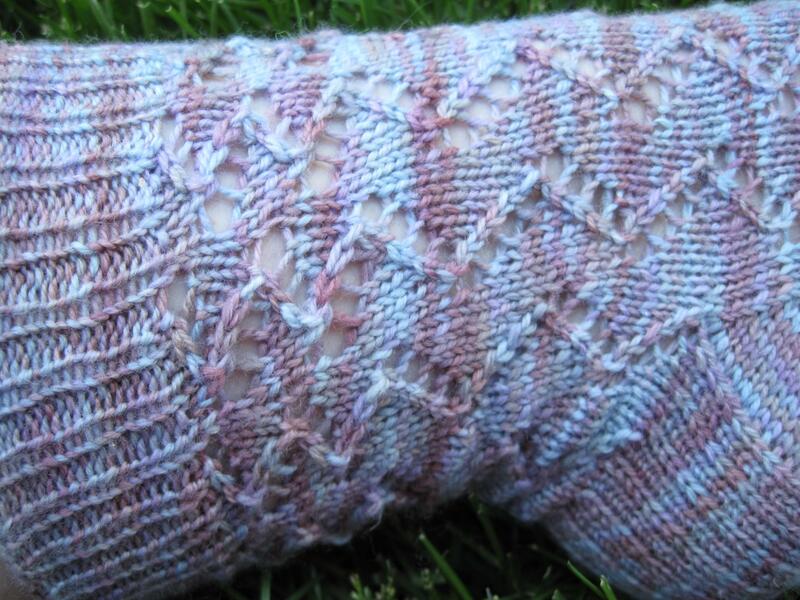 I love the pattern on the top and how it stretches out to go down the leg and onto the foot of the sock! So, thinking you saw this in another design recently? Well, you'd be right. It's the same stitch pattern from my Take a Hike Cowl! 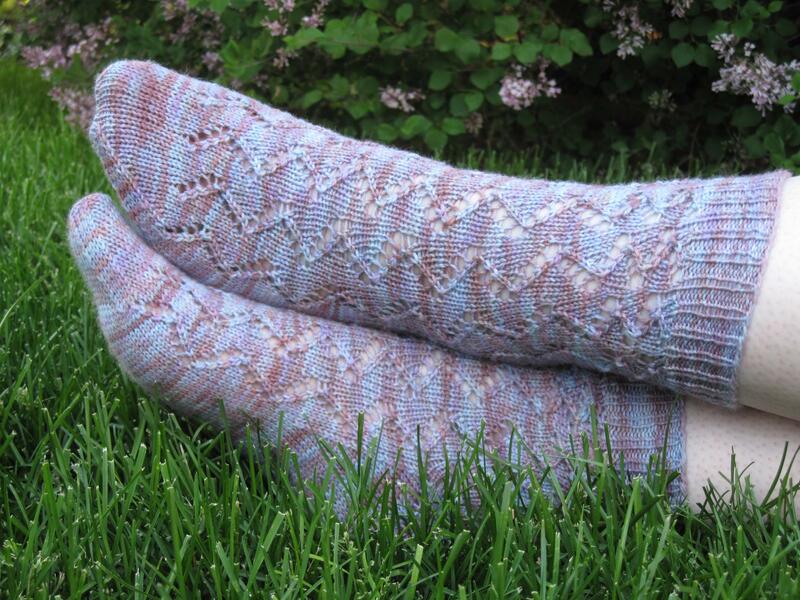 The Take a Hike socks are available on Ravelry for download. Cost is $5.00. You can see the pattern page here, of you can click the "Buy Now" button below.